This 8 sided Cedar Poker Table features a log base, half -log table top with walnut inlays on the diagonals and scooped out chip and cup holders. It comes with your choice of a premium red or green felt top which accentuates the beauty of this log poker table. 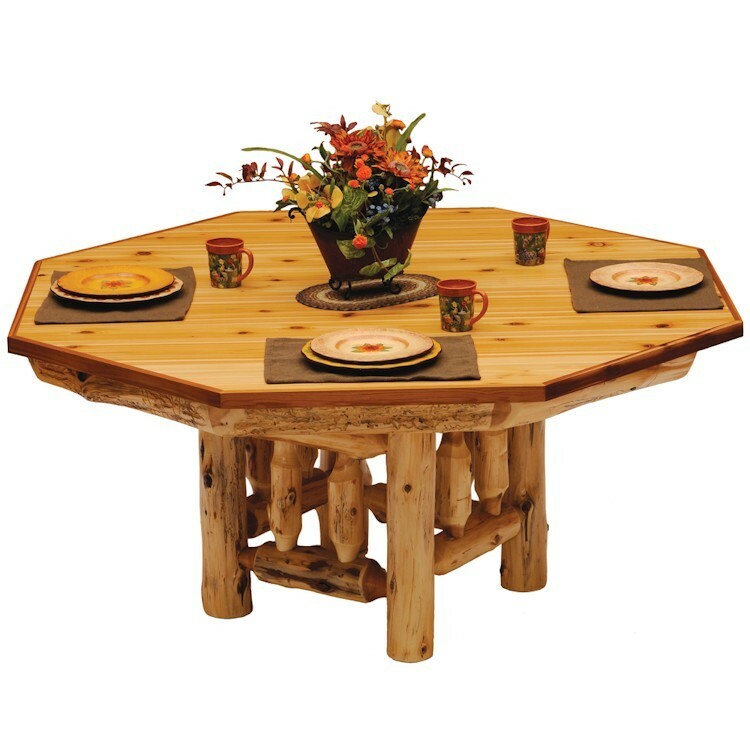 It is individually hand crafted, made of hand peeled Northern White Cedar logs giving it a natural rustic look. It is clear coated with a catalyzed lacquer finish for extra durability. This 8 sided Cedar Poker Table features a log base, half -log table top with walnut inlays on the diagonals and scooped out chip and cup holders. 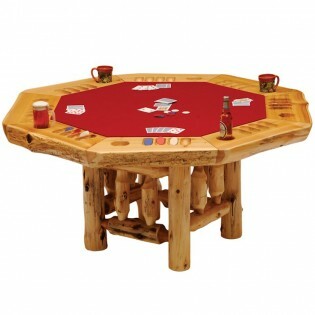 It comes with your choice of a premium red or green felt top which accentuates the beauty of this log poker table. This poker table is individually hand crafted, made of hand peeled Northern White Cedar logs giving it a natural rustic look. It is clear coated with a catalyzed lacquer finish for extra durability. With the addition of a dining table cover you can move easily from game time to dinner time!